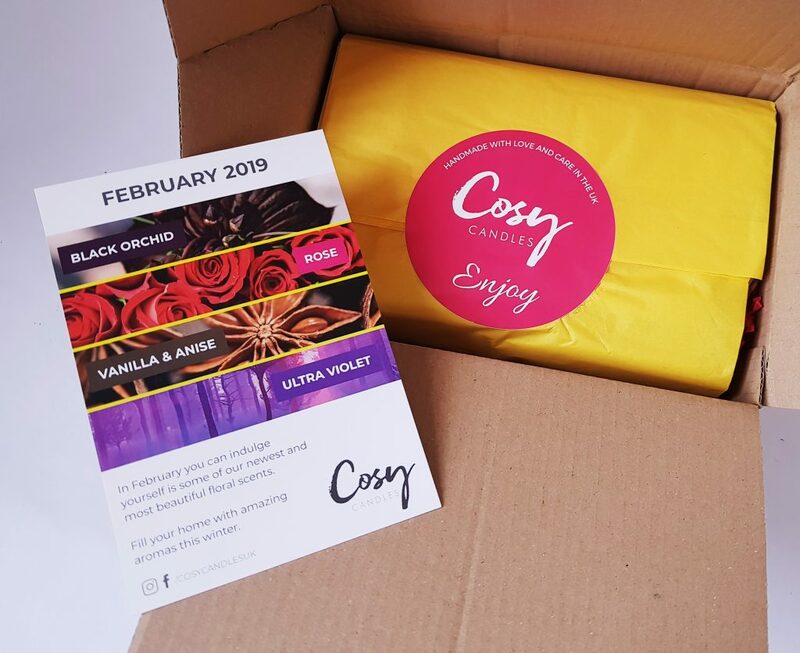 Cozy Candles supplies a monthly box of delicious-smelling wax melts. You get four large (110g each) melts for £15.00 per month. 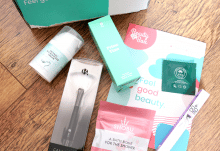 These work out at around 400 hours of fragrance in each box! 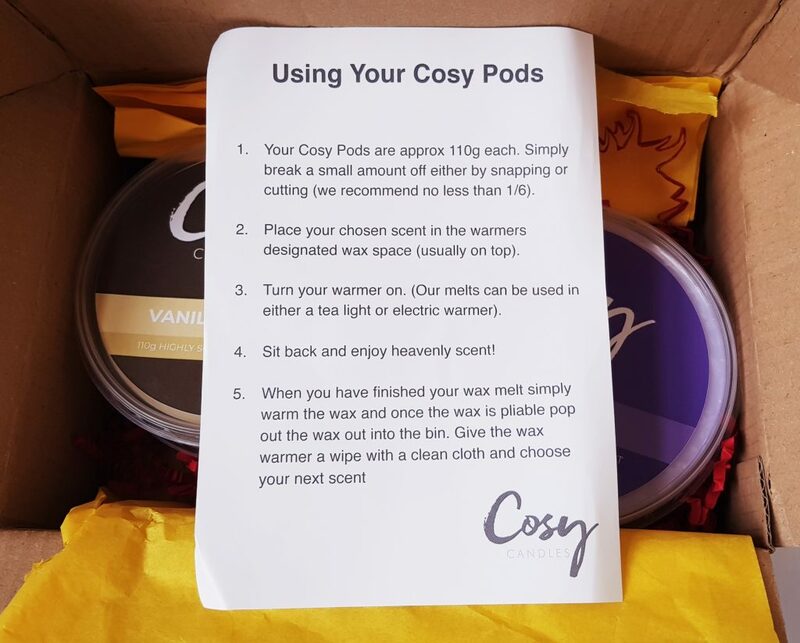 The wax pods are nicely wrapped up in bright tissue, it looks very cheerful when you open the box! Black Orchid, Rose, Vanilla & Anise, and Ultra Violet. 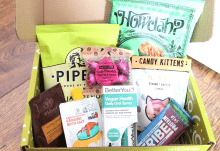 As well as individual scents, you can also mix and match! Break off smaller pieces of the pods and place two or more different ones to experiment with scent combinations. The pods themselves really are impressively large. They are also very well scented, and last a really long time. 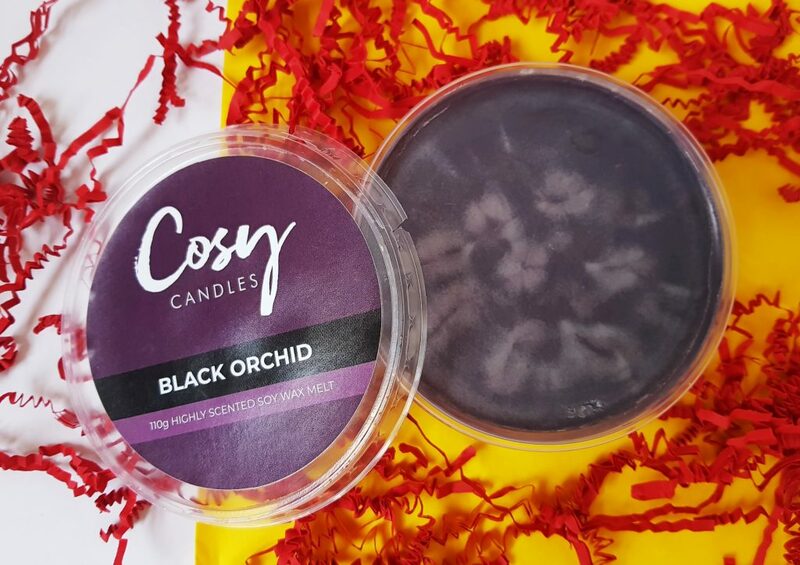 Black Orchid has a lovely sweet scent. I have no idea what orchids actually smell of, but I really like the wax melt version! Rose isn’t my favorite this month because I’m not a great fan of rose scent, but I think it could work very well blended with other scents. I also know that rose is a popular scent so most people will probably love it. 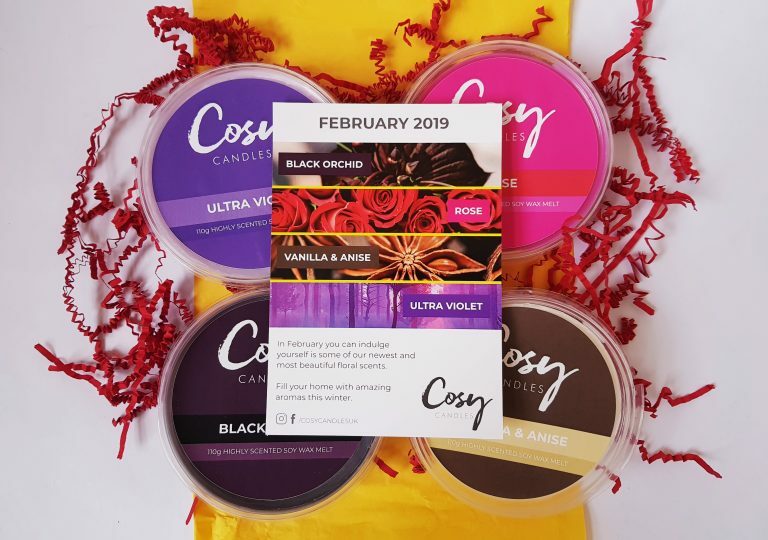 Vanilla & Anise is gorgeous, a really subtle spiced scent, and the Ultra Violet is also delicious, I think that’s my favourite this month! From last month Cosy Candles changed to four large melts rather than the previous six smaller ones. I really like have more of a single scent, and the larger size is more convenient. The scent is very strong, easily enough to fill a room and beyond! One advantage of wax melts over candles is that you can use an electric burner so there’s no danger from an open flame. A lovely selection with some really original scents as well as classic varieties. Perfect to introduce some floral atmosphere into your home during the cold winter! 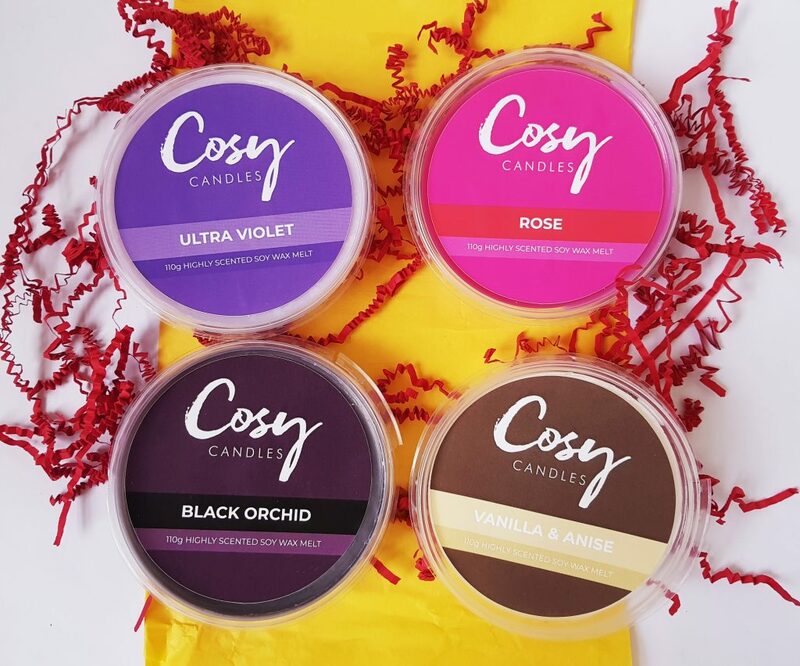 How would you rate Cosy Candles ?